* "Andrews" and "Boss-Lock" Cam and Groove Couplings DO NOT INTERCHANGE IN THE 8" SIZE. The 8" "Andrews" design has 4 cam arms. 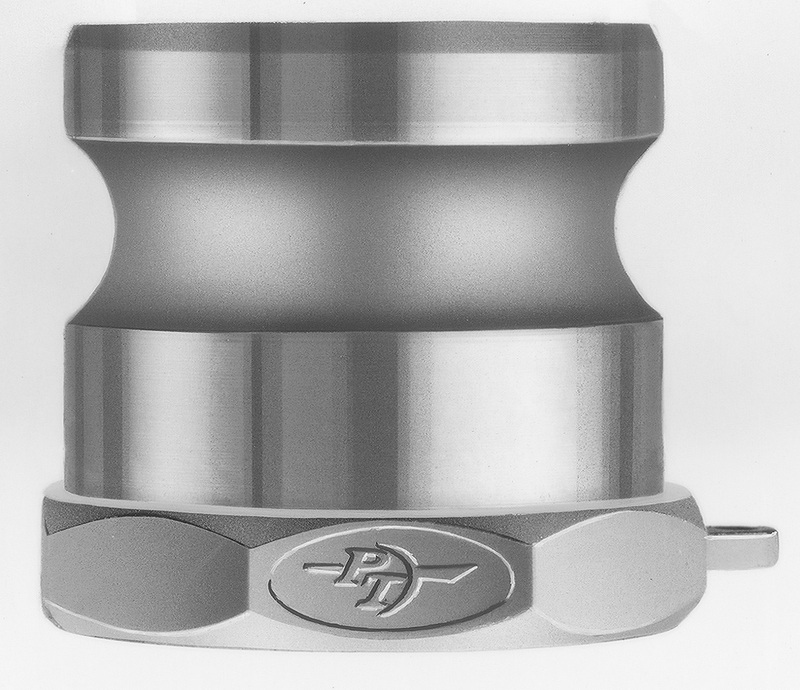 * "Andrews" and "Boss-Lock" Cam and Groove Couplings DO NOT INTERCHANGE IN THE 8" SIZE. The 8" "Boss-Lock" design has 2 cam arms. Safety Alert * "Andrews" and "Boss-Lock" Cam and Groove Couplings DO NOT INTERCHANGE IN THE 8" SIZE. The 8" "EZ Boss-Lock" design has 2 cam arms. 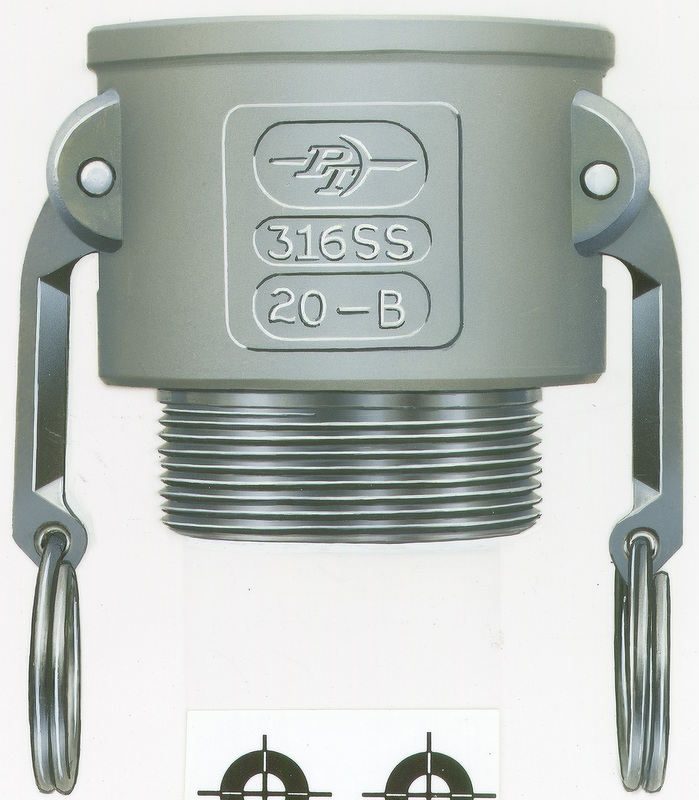 PT Coupling is the leading manufacturer of cam and groove style hose couplings. Products include: Punch-Lok Hose Clamps, small brass fittings, couplings for industrial applications, and ProGrip Couplers which are distributed worldwide. PT's goal is to deliver the best quality and service to their customers and International Belt and Rubber follows suit with their customers. Dixon Valve and Coupling Company strives to deliver accurate and timely data to the hose and coupling Industry. Please take a few moments to review the offerings below. Please Note: This information is supplied to you for informational purposes only. Dixon Valve and Coupling Company makes no guarantees (implicit or explicit) regarding the pressure recommendations or installation procedures listed below. Always adhere to S.T.A.M.P.E.D. and B.E.S.A.F.E. when using ANY Dixon Valve and Coupling Product. 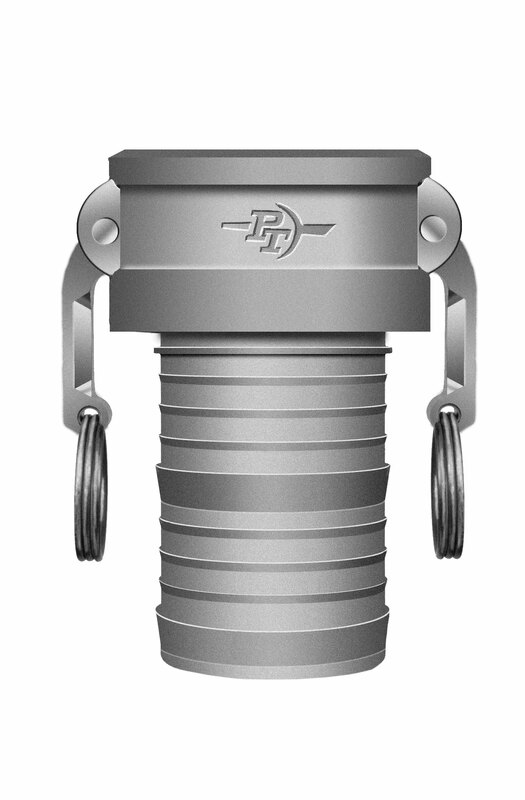 PT Coupling manufactures and distributes high quality quick connect / disconnect couplings and replacement parts. We continually strive to provide these products at a competitive price, with on time delivery, and with the highest standards of customer service.In October of 2001, P-T Coupling recieved ISO 9001 Certification.